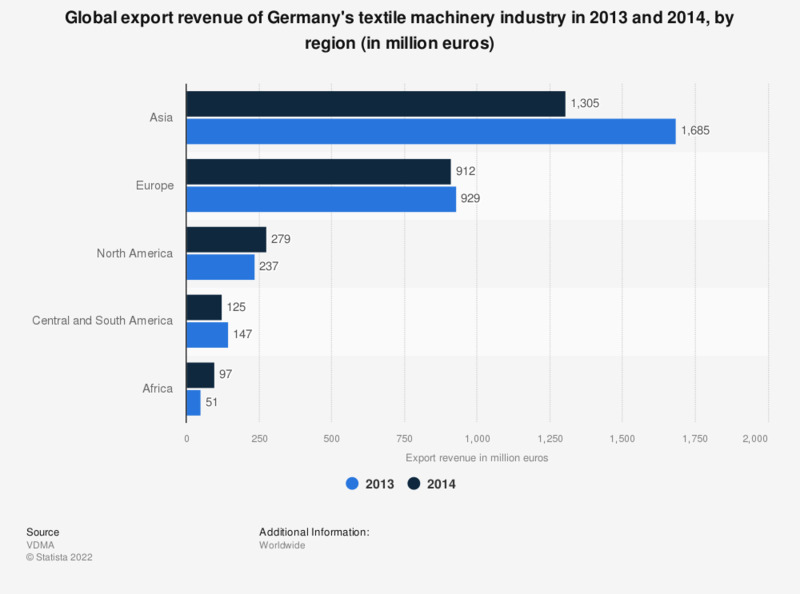 This statistic represents the global export revenue of Germany's textile machinery industry in 2013 and 2014, by region. In 2013, the industry generated a revenue of around 1.7 billion euros (or about 2.24 billion U.S. dollars) with textile machinery exports to Asia. The figures for 2013 are taken from a previous edition of the publication. One euro is approximately equal to 1.32898 U.S. dollars (average 2014 value).